Cologne - It is a case of Billy Goats against Wolves this Saturday (kick-off 15:30 CEST / 13:30 GMT) when two of the winners of the opening round of Bundesliga matches meet at the RheinEnergieStadion. The only time Wolfsburg won their first two games of a Bundesliga season (under Armin Veh), they beat Köln 3-1 on Matchday 2. Köln last won their first two Bundesliga games of the season ten years ago, but were still relegated at the end of it. Köln and Wolfsburg were the most efficient teams in front of goal on Matchday 1. 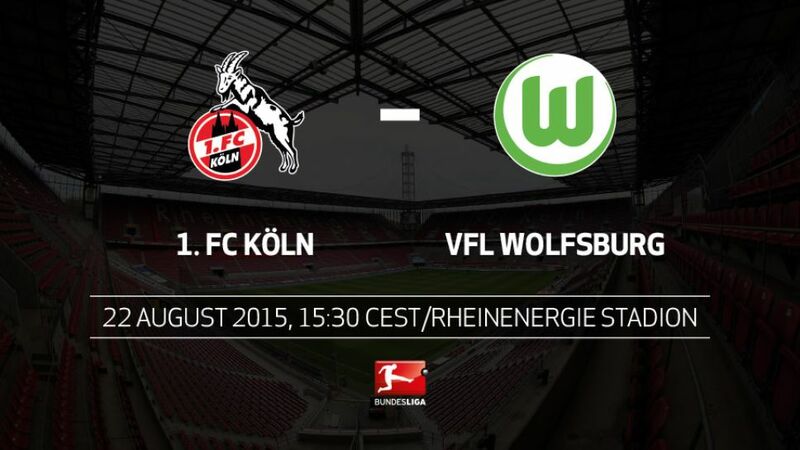 Köln scored three from nine shots on goal, while Wolfsburg netted two from five. The Billy Goats are unbeaten in their last ten at home (W3, D7) since losing 2-1 to FC Augsburg on 6 December 2014. Köln have only won one of their last ten against Wolfsburg (3-2 away in January 2010). Anthony Modeste has scored more goals against Wolfsburg than against any Bundesliga club (four in four games). Wolfsburg’s Ivan Perisic has had a direct say in at least one goal in his last five Bundesliga outings.